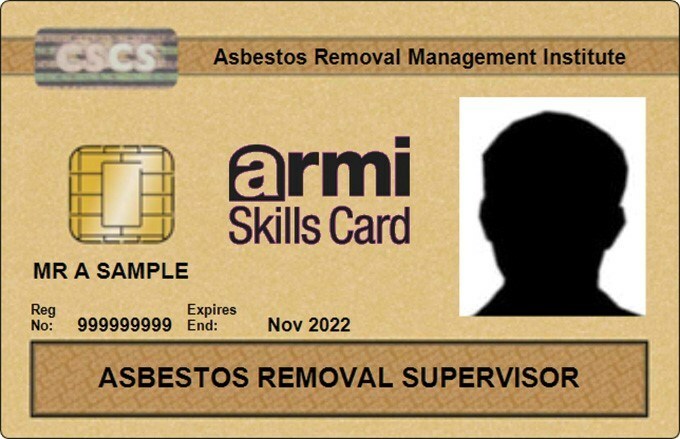 CSCS Cards for asbestos removal operatives, supervisors and managers are available from ARCA under the ARMI Skills Card Scheme. This scheme is a nationally recognised construction skills card scheme carrying the CSCS logo. By carrying the CSCS logo the cards provide a means to verify that people, who want to work on constructions sites, have the necessary training, qualifications and experience for the type of work they carry out. All physical smartcards issued by ARCA use smart technology and contain an electronic chip. This can be used to check the identity of the card holder and, for example, when ARCA updates a card holders’ record with ‘successfully completed operative annual refresher’ this will automatically update the chip in the card. Full information on the scheme is available to download on this page, with specific information and application forms for manager, supervisor and operative cards available on the relevant webpages found via the links on the left of this page.